Gangotri Glacier (S is located in Uttarkashi District, Uttarakhand, India in a region bordering China. This glacier, one of the primary sources of the Ganges, is one of the largest in the Himalayas with an estimated volume of over 27 cubic kilometers. 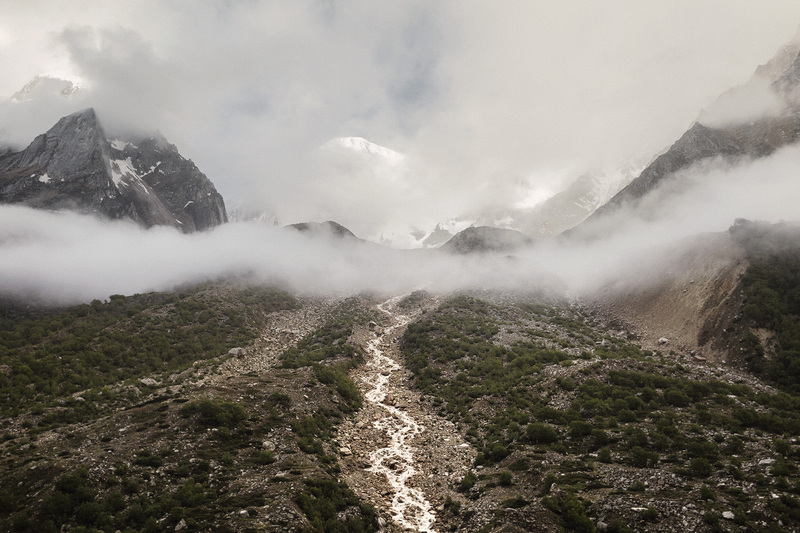 The terminus of the Gangotri Glacier is said to resemble a cow's mouth, and the place is called Gomukh or Gaumukh. Gomukh, Is the precise source of the Bhagirathi river, an important tributary of the Ganges. Gomukh is situated near the base of Shivling; in between lies the Tapovan meadow. The Gangotri glacier is a traditional Hindu pilgrimage site. Devout Hindus consider bathing in the icy waters near Gangotri town to be a holy ritual, and many made the trek to Gomukh, with a few continuing on to Tapovan.